Summary: This blog is all about transferring emails from Thunderbird to Outlook 2010 that can be done either by a manual method or converting Thunderbird MBOX file into Outlook PST format. Read on to know both the ways! 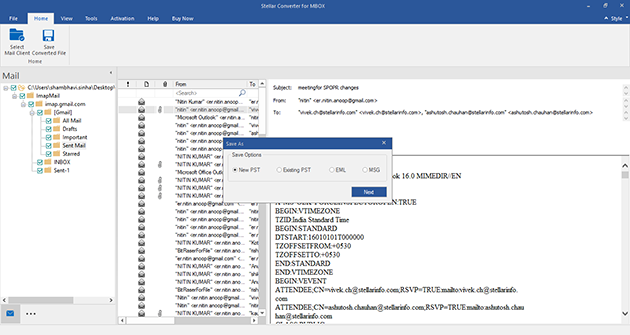 Both Thunderbird and Outlook are well-known and widely used email clients. It can be the need of one’s business to transfer emails from Thunderbird to Outlook 2010 or any other version. 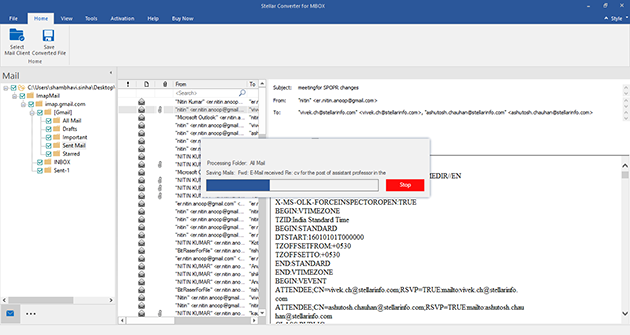 For instance, one’s organization is migrating from Thunderbird to Outlook 2010, or a user wishes to access Thunderbird emails present in his system at work into Outlook that is present in his system at home. Well, there are different methods by executing which one can transfer emails from Thunderbird to Outlook 2010. Launch Mozilla Thunderbird email client. Open the folder that contains the emails to be transferred. Select the emails to be transferred. Right-click one of the selected emails and select ‘Save As’ option from the menu. Select a folder to save the emails as EML file, and click ‘Select Folder’ to export the emails. In the main interface, click on ‘New folder’. Give a name to the new folder by typing the name in the ‘Name’ box and clicking on ‘OK’. Left-click on the new folder. Select all the emails exported from Thunderbird. On executing these steps, the Thunderbird emails are transferred to the new folder that was created in Outlook 2010. 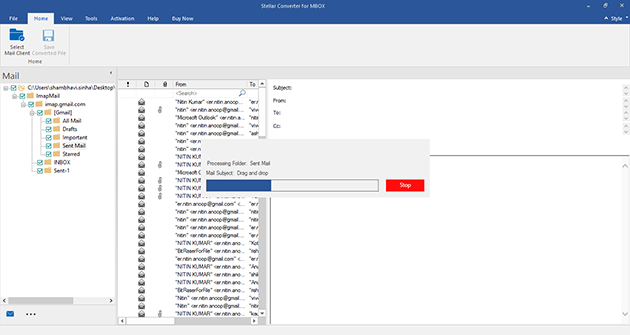 Know the steps to use Stellar Converter for MBOX for Thunderbird to Outlook 2010 migration! 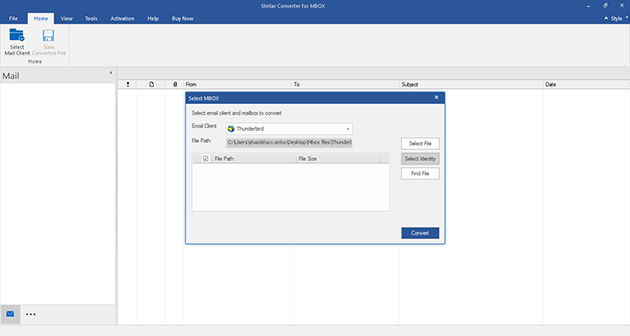 Click on ‘Select File’ if you wish to convert a single PST file, whereas click on ‘Select Identity Folder’ if you wish to convert multiple MBOX files in a folder. If you do not know the location of the Thunderbird MBOX file, click on ‘File’ button. 5. Click on the ‘Save’ button to save the converted mails to a new or existing Outlook 2010 PST file. Finally, Thunderbird to Outlook 2010 migration completes. Above all, we went through two different ways to switch from Thunderbird to Outlook 2010. They can select any among these to Measure their purpose. Nonetheless, go for Stellar Converter for MBOX that is an automated tool. Use this efficient software because of the several advantages that it offers in comparison to the manual method. In fact, it is a quick and easy-to-use tool and does not require prior experience to work on it.